A spacious log cabin with built in veranda along the front. Great for entertaining or relaxing with family and friends, it will look great in any garden. 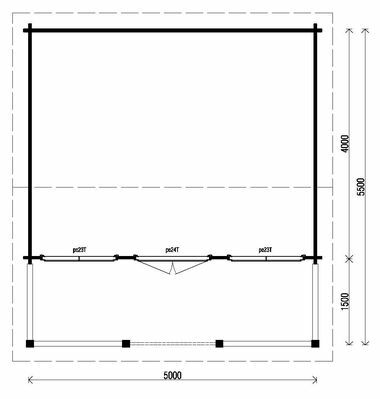 Size approximately 5.5m x 5m in 44mm log thickness. The standard package includes 2 windows PE21 and a double door PE22H. Double glazing is standard. 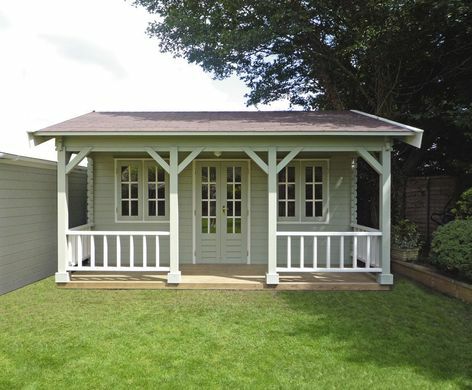 The built in veranda measures approx 1.5m x 5m.